Vandoorne raced his way through Belgian karting championships, through the single seater varieties in Europe, before making an immediate impact in GP2. He was runner up in his first year, and secured the title at the next time of asking in 2015. As reserve driver for McLaren, Stoffel was called up to replace an injured Fernando Alonso, making his F1 debut in the 2016 Bahrain Grand Prix, and he earned a full time drive in 2017 when Jenson Button retired. Stoffel Vandoorne kicked off his racing career in the traditional karting fashion, participating at the tender age of just six. After a decade of experience, he won a karting championship in Belgium, and in 2010 he moved up to the single seater series of F4 Eurocup. He won the title at the first time of asking, and moved on to further European junior formulae, until in 2013 he joined Formula Renault 3.5. 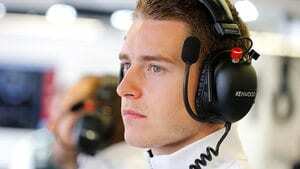 At the same time, Vandoorne joined the McLaren Young Driver programme alongside Kevin Magnussen. In his first year in Formula 3.5, Vandoorne finished second in the championship to Kevin, picking up several race victories along the way. GP2 was quickly calling, and Stoffel moved on to the F1 feeder series, joining ART. In his first season, he was once again the runner-up in the championship, behind eventual winner Jolyon Palmer. In 2015, on only his second attempt, Vandoorne secured the GP2 title. The link with McLaren proved fruitful, as Stoffel secured the third and reserve driver role for the F1 team at the start of 2014. After only a scattered handful of testing opportunities, Stoffel was called up to deputise for Fernando Alonso in the second race of 2016. The Spaniard sat out the race due to injuries picked up in round one, allowing Vandoorne to make his official F1 debut in the Bahrain Grand Prix. He was promoted to a full time race drive for 2017 after the retirement of Jenson Button. Team radio to Stoffel Vandoorne: "Absolute focus now, let others make mistakes. Hand in the candle. "He's running seventh, and very well for a McLaren!